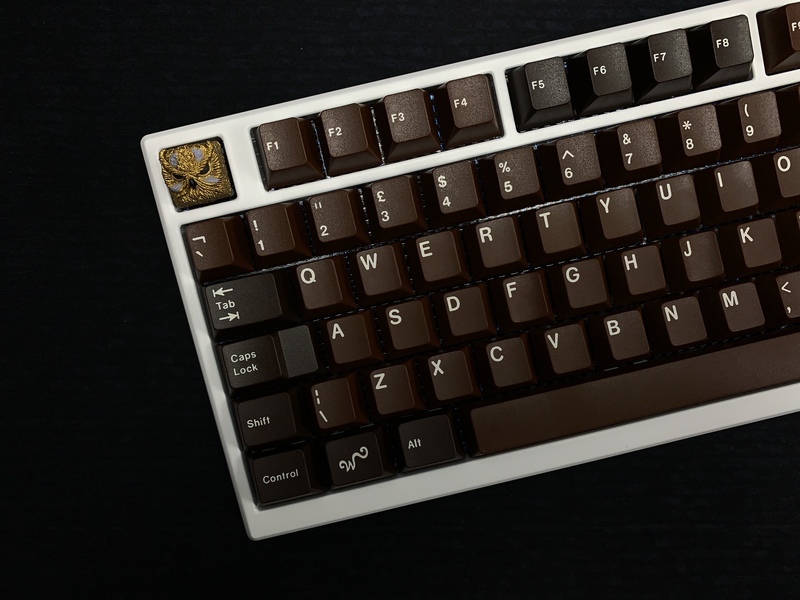 So I'm pretty new to the mechanical keeb community, however I'm in love with this design. How much assembly knowledge will be needed to put it together? soldering, screwdriver, and learning how to use QMK is probably all you need to know. No real need to understand QMK as the PCB is supported by VIA, a user friendly UI to remap keys, change lighting and knob controls. sounds pretty simple. I've never soldered anything keyboard related, but it cant imagine its extremely complicated. thanks! definitely not. unless youre soldering SMD leds or trying to desolder a pro-micro, both of which you won't be doing for this keyboard. I love it and probably going to be in for this one because I wanted a 75% for long time and satisfaction looks like a perfect candidate for my first 75% board. Despite the quality issues the prototype looks fantastic, the only thing that bothers me is function row. Those gaps without blockers kinda ruin the overall look. The final version, as far as I understand it, will have blockers in the Fn row. My fully built Satisfaction75 will be at the Boston Keyboard Meetup, next Saturday, 4/13. Come check it out if you're in the area! More details are on reddit. Is it a safe assumption that the GB is more likely to run on May? Given the sheer number of GMK sets this month, and for estimated prototyping times, May GB for Satisfaction75 is a safe bet at this point. Always like seeing new 7% layouts on the market. How will this compare in size to current offerings like the KBD75 the the upcoming XENO? Man, this looks extremely nice. Big fan of the knob and display. As long as my wallet can sustain the damage, I'm in. even if the group buy does not happen I would still like to pay for the blueprints so I can get made myself. I am really loving the knob and the small display. I know there's probably only a month until the GB but ... will there be a PC case option? Have you at all decided on what the final colors will be other than the Navy Blue? E-white with GMK Mizu is a dream build. Any proto pics from the Boston Meetup today? The prototypes are almost done and should ship to me by next week, the factory has matched the desired color, but the finishes still need to be evaluated for quality. There will be a build stream done of one of the prototypes. The current plan is to offer more than 50 slots, the actual number has not been revealed. While there are plans for custom knobs, they aren't ready yet and likely won't be ready in time for the group buy. The knobs will not delay this group buy, so there will probably be a future group buy for the custom knobs. I hope to be able to show everyone more once the prototypes arrive! Mentioned planned colors here, hasn't confirmed 100% yet, likely just waiting on what the factory can do. Hey guys, I’ll be building the E-White Satisfaction75 on stream later today! Holy lawdy that white is gawjus. Totally sold on this and suuuper excited. Thanks for the build stream Jae! This is a must. I will sell and trade stupid stupid things to make sure I can get this board. Came from reddit... love it! I was confused how it originally said no ISO, yet this is ISO until I saw the updates. Registered interest. 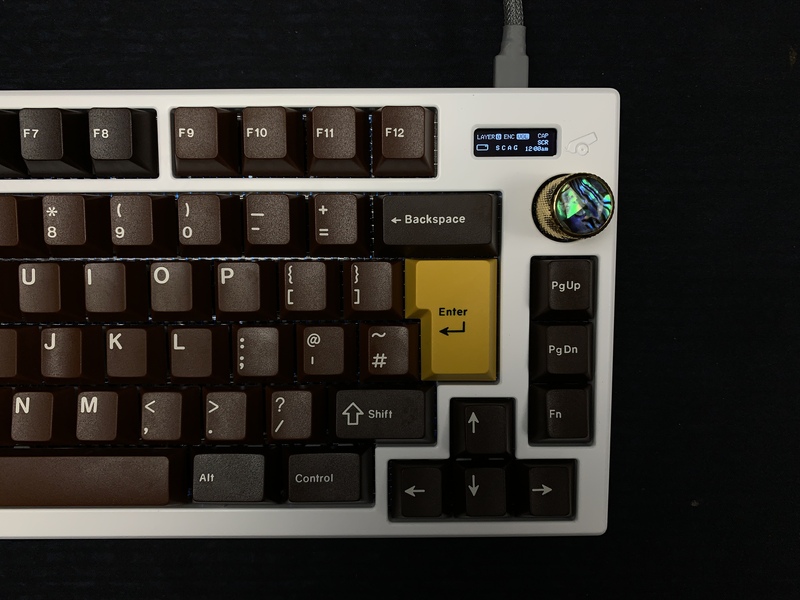 A deep purple CNC'd 75%? Hell yeah! Subbed. "There will be 4 color options, if these prototypes turn out well: Deep Ocean Blue, Pirate Black, Stormy Grey, and Cloud White. These were the top 4 choices in the IC! (Well, purple was before white, but I think white fits the theme better)"
That was from a post from Upas a while back. So, just asking because I'm new here what if I miss the group buys? Will there be a way for me to still get this keyboard? Are the knobs sourced from somewhere or custom machined for this GB? After seeing the mother of pearl one, I want like a dozen different ones.